Android Gaming has been improved a lot in 2018 compared to iPhone Gaming, but still iPhone has some exclusive games. However, the Android developers have created many Free and Freemium Android games and have filled the Play store. We have also shared the top new Free Android Games every week to enjoy something new. The Biggest Advantage of Android is, it is an open source, and many developers have shared many great and stunning Android Games for Android users. Even though, the Play store has the worst and waste games too. Choosing the best Android Games from the Google Play store is time-consuming and tedious task. But you don’t have to worry about that, Here, we have hand-picked the best free Android Games from the Play store. Play the world’s #1 puzzle game “Bejeweled Blitz” by EA and Popcap. This game is rediscovered from the classic match-three puzzle game. You have to detonate as many gems as you can in 60 action-packed seconds. Feast your eyes and ears on high-definition graphics and sound, optimized for Android devices. Challenge your Facebook friends to beat your best score and dominate the weekly tournament leaderboards. Official Iron Man 3 Game is created and designed based the upcoming Movie Iron Man 3 which is free to download. 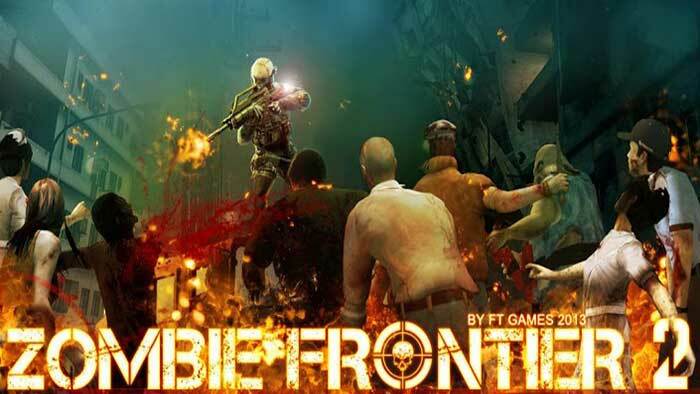 Get ready for intense action in this free, addictive, endless 3D runner! This puzzle game wins the place in my Android phone. Cut the Rope: Time Travel is a completely new adventure filled with time-traveling, candy-crunching, physics-based action!. This game is very fun equal to its predecessor Cut the Rope! Build your own village into a bustling kingdom and protect it from the enemies with this Fantasy Kingdom and Dragons game. . Select your hero – Templar, Bowmaster, or Enchantress, and battle enemies that threaten your kingdom. It is one of the best Android Car Racing game in Play store, developed by EA. However, you need to buy in-app purchases to repair your car, speed up and upgrade it. It is fantastic to play with your friends. To experience that Real Racing, just download this game. Asphalt Moto, 3d motor racing game with simple control and nice graphic effect.Racing in night!. It is good game for the users who have fond in the Bike Racing Games. The casual gamers will love this game. This is developed by Social game developers Animoca. It is based on the game based on Norse myths. You can play this action packed game as a hero – mighty Thor, wise Freya or intrepid Brunhilde – to strike against the forces of evil. Fight against demons, giants and monsters, and confront their masters. Want to experience the True Street Racing Experience? Race Illegal is the Game for you. Get start your career as rookie driver in the streets and challenge the best in the field. Before you challenge you should earn respect in the racing field. With 20 tracks to race, 9 cars to choose from and a whole host of customizations there’s plenty here for the petrol-head to tinker with. In the series of Angry Birds , Star wars story is the superb Adventure Game. JOIN THE ANGRY BIRDS IN THEIR BIGGEST ADVENTURE YET! A long time ago in a galaxy far, far away… a group of desperate rebel birds faced off against a galactic menace: the Empire’s evil Pigtroopers! Temple Run is the Massive hit Game in this year. With endless running, it has attracted the every smartphone user. In the Latest update, the World’s fastest runner Usain bolt has been added as the Main character. The endless runner Game from Gameloft with cartoonists characters from the movie Despicable Me. Get ready for even more fun, surprises and Minion moments from the new movie with this first update for Despicable Me: Minion Rush! BLIP BLUP is an addictive conundrum of coloration that will consume your thoughts and occupy your dreams. You must carefully consider each move in order to fill every tile with color – 120+ perplexing puzzles await your brainpower! Solve your way through nine whole packs of levels, each featuring all new challenges and gameplay! Galaxy on Fire 2™ HD is the fully optimized Google Play version of Fishlabs’ multi-award-winning space combat and trading simulation. The game offers more than 10 hours of campaign mode and additional tasks via in-app purchases. Join the Fast & Furious 6 racing team and push the limits of your Android phone. This game sets the new heights for all racing games with stunning graphics, new game modes, addictive challenges and intense full-throttle missions. Are you bored with so many car racing Android games? Try this new River Racing Game. The exciting speed, the brand new game design, you must get addicted to this special game experience. It’s time to challenge your skill between security and speed! Enemy Lines is the exciting real-time strategy game. Lead up from the front and Train your troops and defeat your enemy in the cut throat battle field. Enemy Lines is free to play but you can buy special items to use in the game. You can Form Alliances and compete in weekly tournaments with ladders and leagues.